Ghosts, witches, vampires—great for Halloween, but for your honeymoon? We get it, an encounter with the supernatural may not scream “romantic” for everyone (although there would invariably be some screaming). If your idea of a post-wedding vacation includes visions of lying around a sun-soaked, all-inclusive resort—then this list is definitely not for you. Nope, we’re talking to those couples out there that aren’t afraid of adding a little mystery (the Scooby Doo type) and intrigue to their first (and hopefully not last) trip together as newlyweds. Scouring the globe like a Van Helsing, we’ve selected eight destinations guaranteed to be memorable adventures, while also being frightfully fun. Added bonus? When the lights go out, being scared is twice the thrill with your lifelong, plus one right beside you; what could be more romantic? 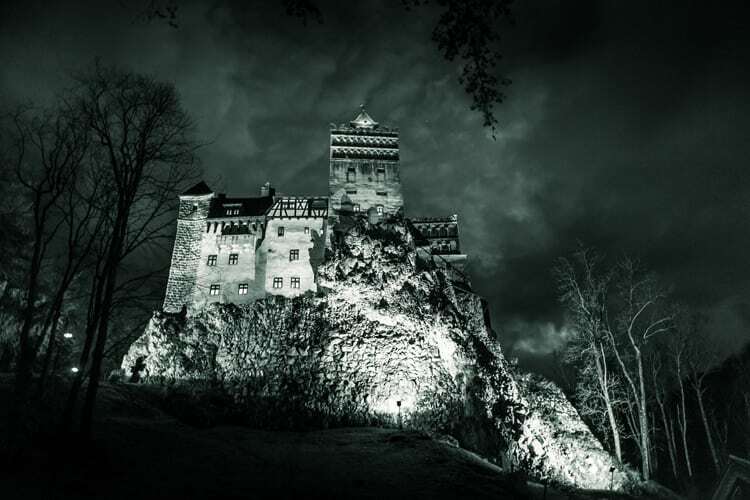 Home to the fictitious birthplace of the vampire archetype Count Dracula (made famous by Bram Stoker’s novel or maybe even Francis Ford Coppola’s 1992 film), Romania’s Transylvania region possesses an array of eerie attractions. Impressive Gothic style architecture can be toured throughout the area, and don’t forget a visit to Bran Castle—thought to be the inspiration behind Dracula’s formidable residence. For more local lore, take a step into the Hoia-Baciu Forest, named for a shepherd who disappeared, along with his flock, within its dark woods. Strange stories abound, including UFO sightings, hauntings, and portals to other dimensions. Tread carefully! 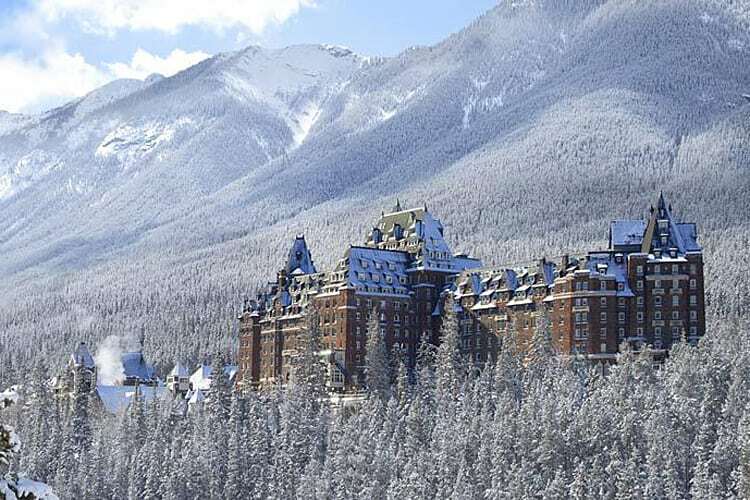 Nestled into the breathtaking scenery of the Rocky Mountain region in Canada’s Alberta province is the Fairmont Banff Springs Hotel where, on more than one occasion, a guest has checked-in for all time. When not golfing, skiing, or exploring Banff National Park, keep an eye out for spirits that run the spectrum from affable Sam the Bellman who assists guests, to the more sinister screams of a family allegedly murdered in room 873 (now bricked over and inaccessible to visitors). Brides, take extra care on the stairs—the hotel’s most famous ghost tripped to her death descending the steps in her wedding dress. Ah Paris: a honeymoon classic! Beyond the macarons, excellent wine, and dazzling lights of the Eiffel Tower lies an altogether darker side of the romantic hotspot. Not only is it the origin of the only museum dedicated exclusively to vampires, but the city holds multiple sites in which to visit the dead. 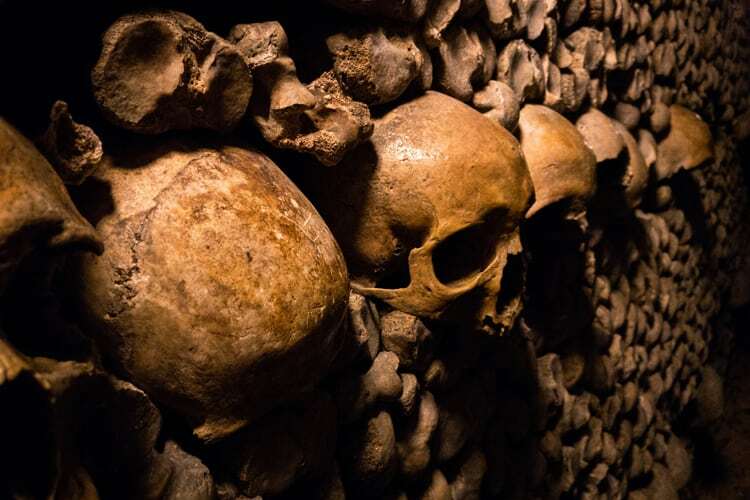 Notably, millions are buried within the shadowy underground labyrinth of the Catacombs, including those who met violent ends during the Revolution, such as Robespierre. Afraid of the dark? Opt for a daytime graveyard exploration instead. Must see stops: Père Lachaise, Montmartre, and Montparnasse cemeteries—which contain the final resting places of famed figures like Jim Morrison, Edgar Degas, and Simone de Beauvoir, respectively. Let the city of Lima, Peru put a spell on you. With scenic beaches, lively nightlife, and all the ceviche you can eat, Lima is pretty magical already, but takes it up a notch further with its Mercado de Brujas. Translation? Witches’ Market. 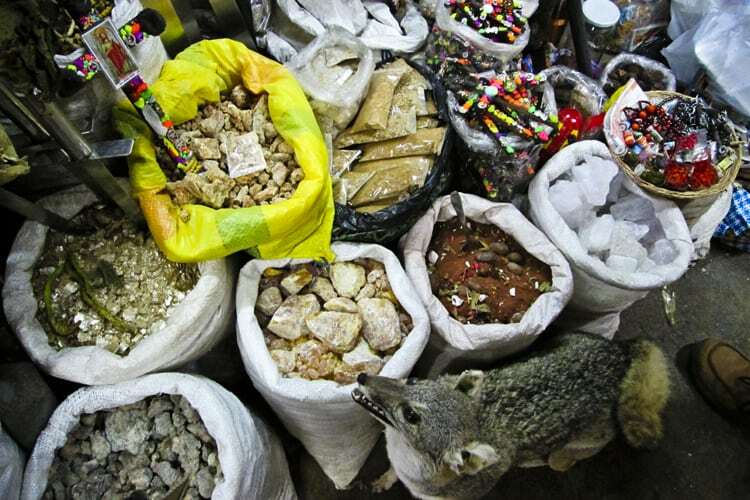 Located underneath Gamarra train station, an assortment of mystical goodies await: everything from herbal remedies and divination cards to Amazonian aphrodisiacs and snake fat can be found amongst its vendor’s stalls. Word on the street is to keep your eyes peeled for python skins in order to locate the sort of secret entrance. Japan is known for its breathtaking cherry blossoms, fresh sushi, unique fashion, and much more. But the horror genre is also deeply ingrained in the nation’s culture. Whether it’s the giant Godzilla monster or the terrifying apparition from Ringu (the original Japanese version of The Ring) there’s no shortage of scary stories. With so many haunted spots to explore—many with secret locations—you and your spouse can literally choose your own adventure. Try visiting the head of samurai rebel, Taira no Masakado, enshrined in Tokyo. Located in the financial district, legend claims Masakado’s head transported itself from Kyoto after being decapitated in battle, and has brought tragic results to those who dare to bother his tomb. 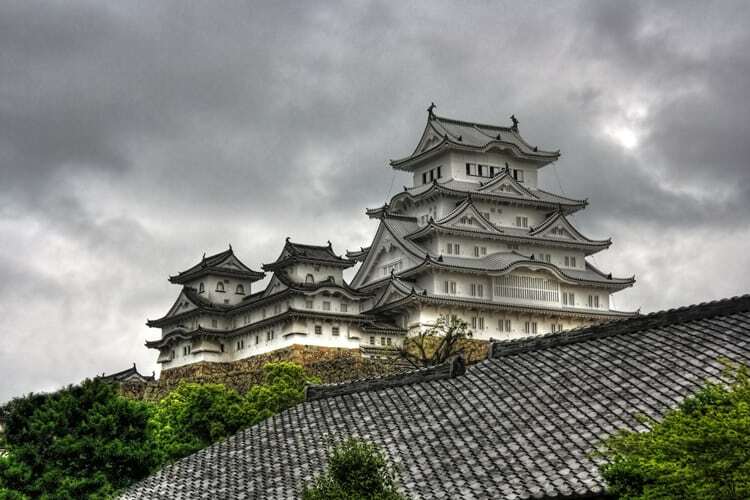 Another spooky option is Okiku’s Well on the grounds of the striking Himeji Castle. After being falsely accused by her master of stealing an heirloom plate, Okiku was murdered and thrown down the well. She took revenge, climbing out nightly to count the plates—or so the story goes. The historic architecture and cobblestone streets of the villages surrounding the Brocken Peak in Germany are transformed into one heck of a party venue come May Eve (aka, the last day of April). 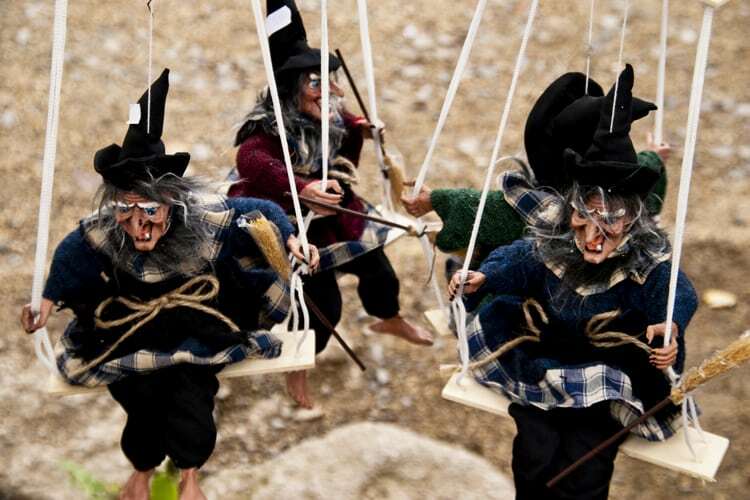 Plan your stay accordingly and bear witness to the spectacle that is Walpurgisnacht—the night when witches fly to the mountaintop to commune with the devil himself. The traditional folktale famously inspired a scene in Goethe’s “Faust,” but IRL, the festivities are all in good fun and vary from village to village. Potential revelries include wicked costumes, bonfires, flying witches on cables, log carving competitions, floating boats of fire, and general merriment. If you haven’t experienced Día de los Muertos (Day of the Dead), then get thee and thy partner down to Mexico City on Halloween. The two day celebration honors the dearly departed with altars and offerings upon their spirits’ return. Skeleton costumes, a parade, shrines in Constitution Square, and cemetery celebrations are all part of the experience. Can’t come in autumn? After you get a chance to take in some sensational food, art and history, make a visit to the Island of the Dolls just south of Mexico City. 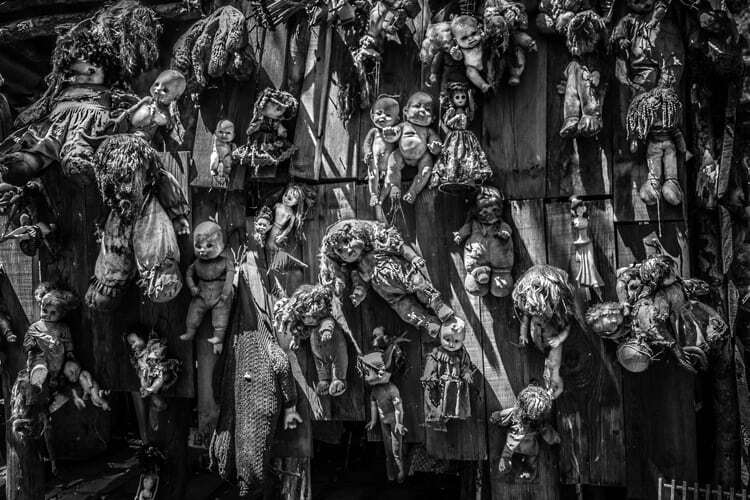 Scattered in the trees are hundreds of doll parts, allegedly possessed, that haunt the woods and surrounding canals. Actually, that might be too spooky. Need a one stop shop for all your chills? Then look no further than the vibrant city of New Orleans. With a rich history all its own, magic and ghosts are just some of the city’s unique draws. Haunted hotels? Check! Voodoo culture? Double check! A madwoman’s mansion? You bet! Plus the city is peppered with historic cemeteries containing above ground tombs, such as Lafayette No. 1. 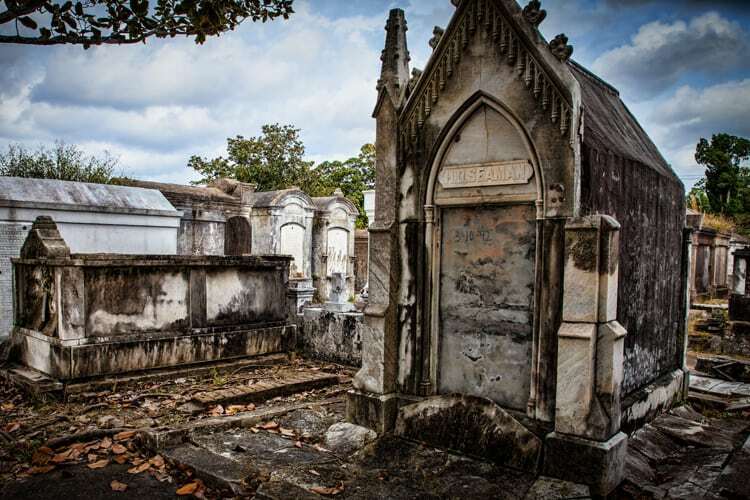 Cajun cuisine and live jazz are also not to be missed while visiting the town that Anne Rice’s infamous vampires call home. Relaxation is overrated. Why sleep when you can stay up all night together at a spine-tingling destination? There’s nothing scarier than missing a unique opportunity, so go ahead newlyweds and get your thrills on!